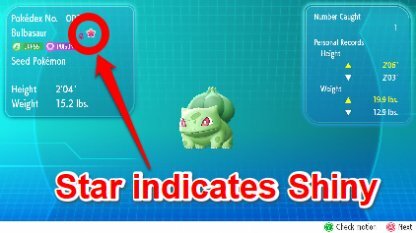 Shiny Pokemon are Pokemon that have a different color compared to standard Pokemon. They're also distinguished by a star next to their name when you view their details. Aside from the color, they have the same range of stats as standard Pokemon of their own species. The spawn rate of a Shiny Pokemon is said to be 1/4096 which is about 0.024%. This is why players get very excited to catch one regardless of their stats! 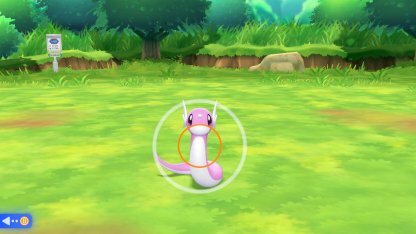 Shiny Pokemon can be spotted from the sparkling stars they emit, similar to the swirling red and blue light for huge and tiny Pokemon. 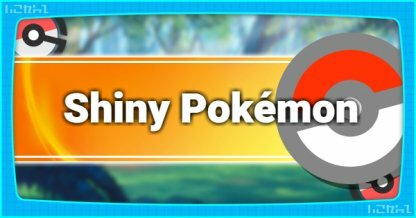 If you have Shiny Pokemon in Pokemon Go, just transfer them to the game via the GO Park and catch them there to add to your team!